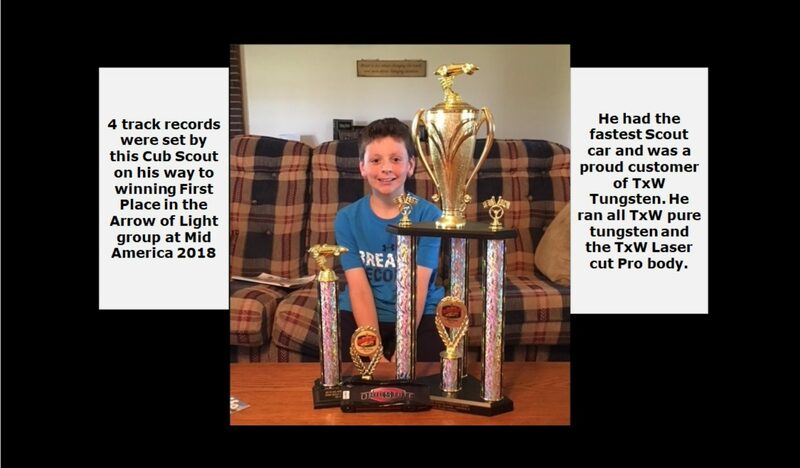 What is the real advantage of TxW tungsten and TxW Offset body for the Pro racer? – TxChemist************Winning is fun! Let’s take some data. 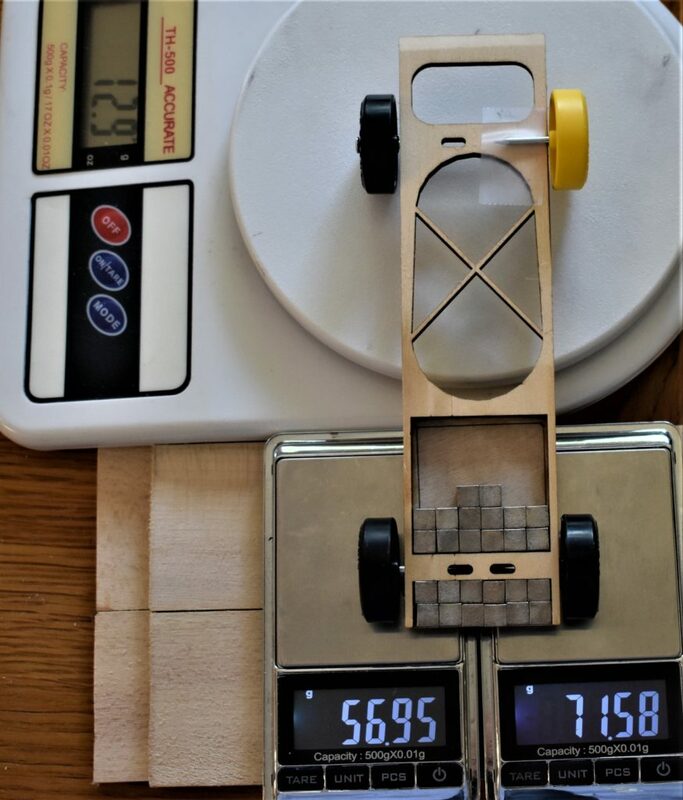 First let’s load up a typical Pro style thin body with enough cubes to get to 5 oz. OK, we needed 26 cubes. 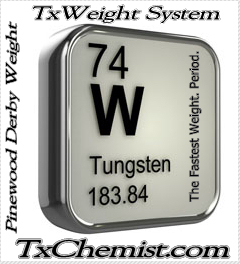 Now, we use TxW 99.95% tungsten bars and find we have achieved the 5 oz. 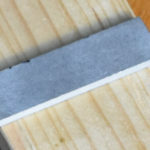 with just 24 cubes of volume when it is the denser tungsten. 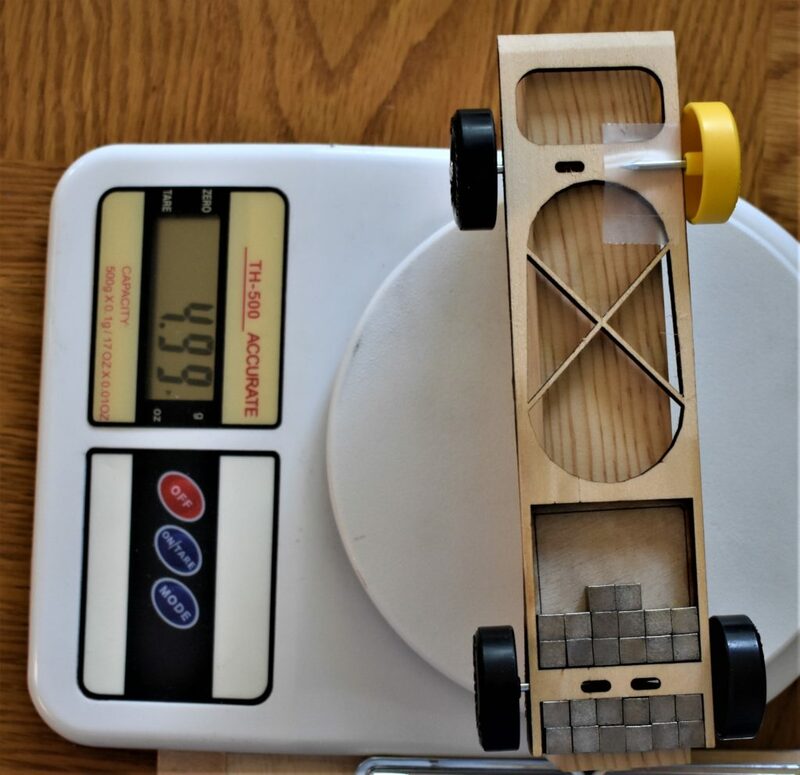 Now let’s put our first car on three scales and see what the DFW (Dominant front wheel) weight is, and how much imbalance we have on the back two wheels when the cubes are loaded symmetrically. We have 12.9 grams on the DFW and one back wheel is 71.6 grams while the other is 56.9 grams. 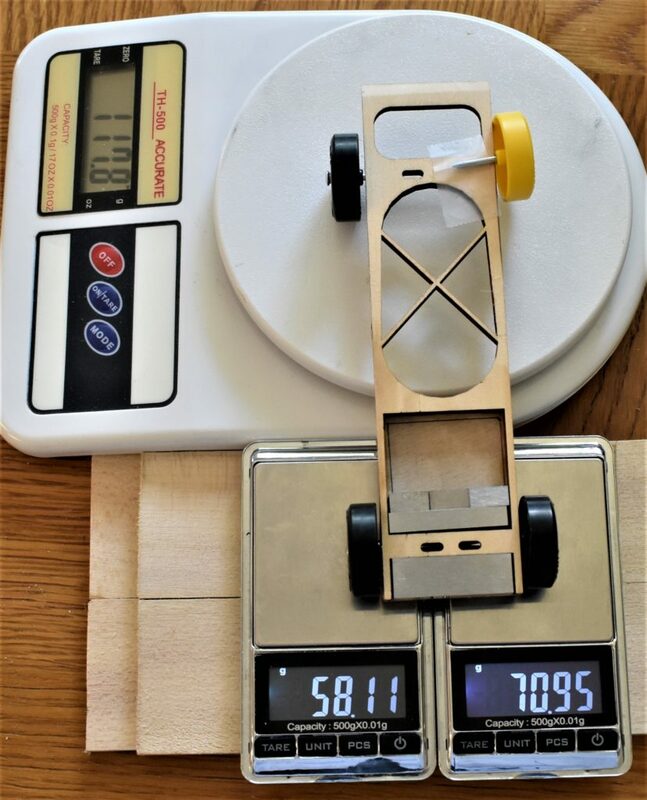 Another way to say that is the imbalance is 14.5 grams. So after many years, a few clever racers started moving cubes around to see if they could find a “sweat spot” where they got a faster car. 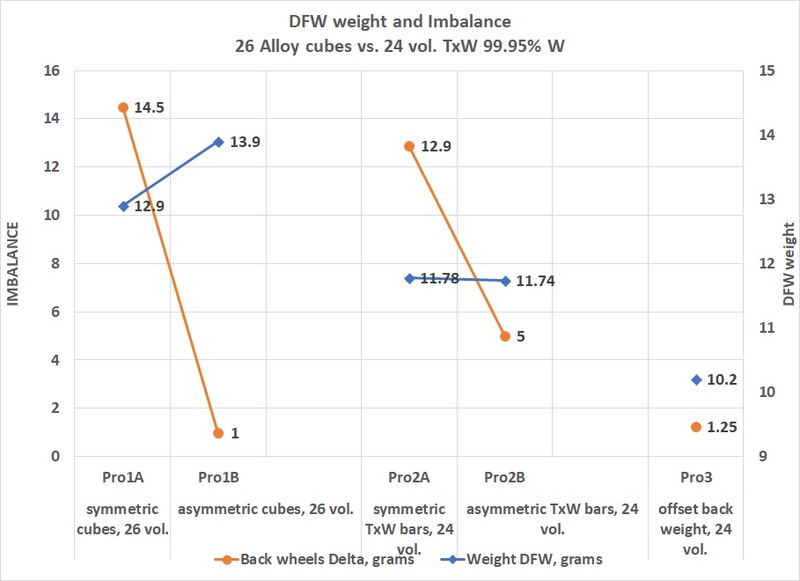 If we move enough cubes to the DFW side, we see that the back imbalance can drop to very low, less than a gram-BUT, the DFW weight went up to 13.89 grams, so with the typical cubes we can improve balance, but it increases the DFW weight- in other words, your COG is slightly worse when you move the cubes and so some racers do not find any additional speed when they look at balance. 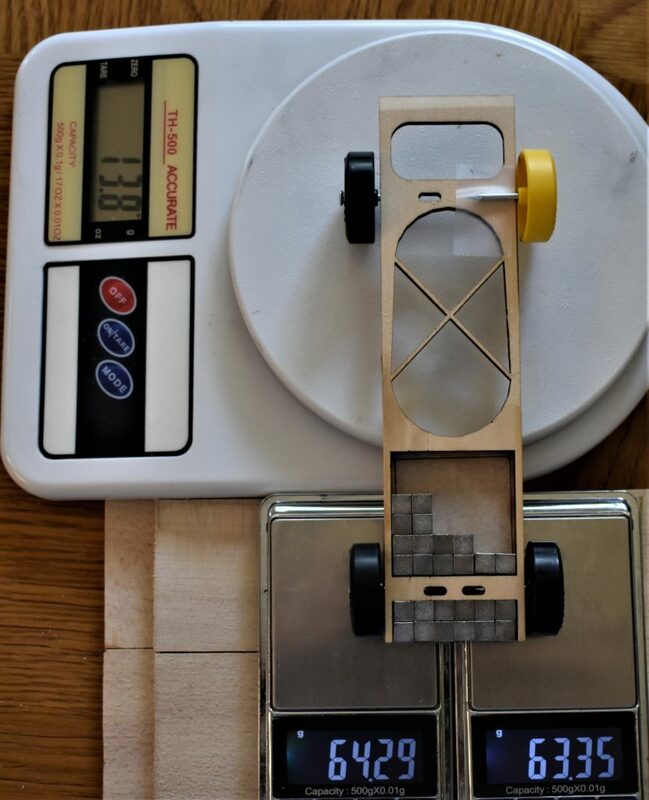 Now let’s look at the same body, the same wheels & axles, but we use TxW 99.95% tungsten bars to weight the car. We already know we only need 24 cubes of volume, so first we put the bars on to minimize COG. We notice that the imbalance is only 12.9 grams, and bingo! 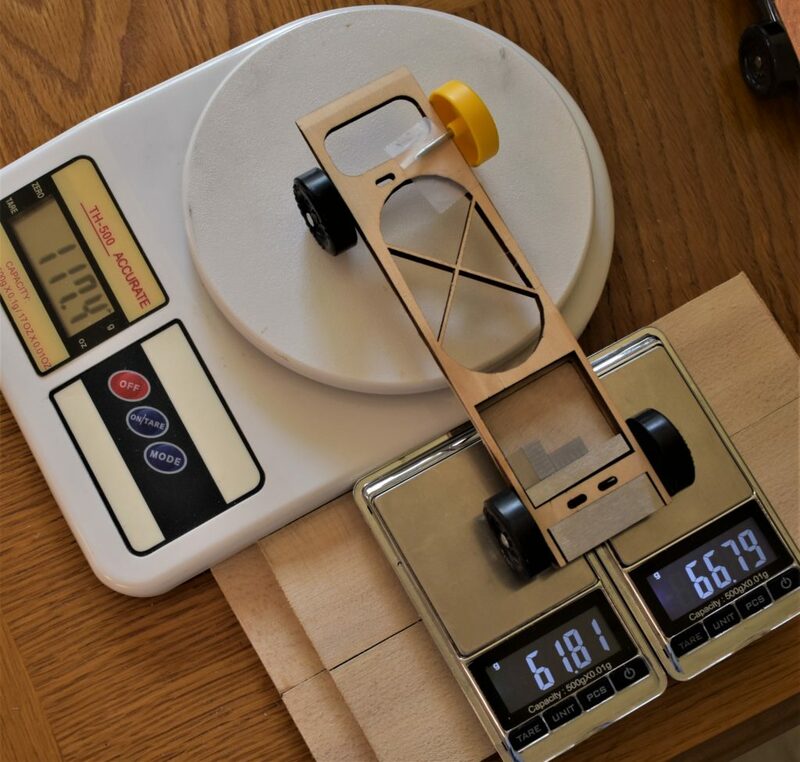 we have reduced the DFW weight to 11.78 grams. This car should be faster than the car with 26 cubes, no matter how those cubes get arranged. Can we get even faster? How about we arrange the smaller bars and look for good balance. We have an imbalance of only 5 grams, not bad, and what happened to our DFW weight? NOTHING!, If anything it went down a bit. to 11.74 grams. Yes, this car can go faster than than all the cars above. But if we are clever to move the cubes and bars around in front of the axle to look for improvements- why should we not move the weight behind the back axle to the DFW side and see how it performs? 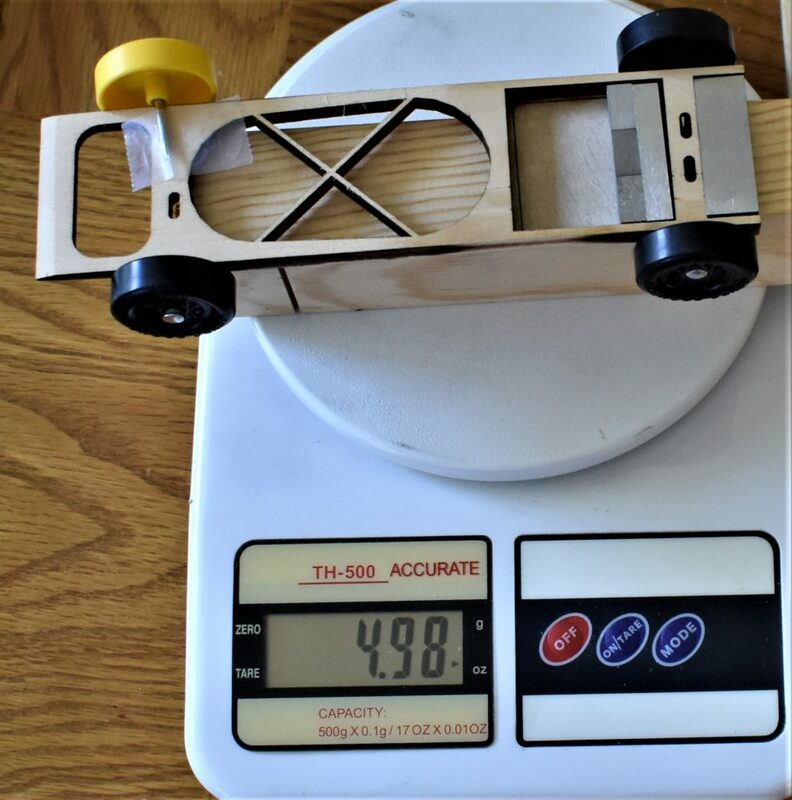 So here is a look at the body that produced the fastest Cub time at the Mid American Pinewood Derby in 2018, but the weights moved to a point past the optimum just to show still balanced back wheels and a very low DFW weight. ( NOT recomended for anyone but a Pro). 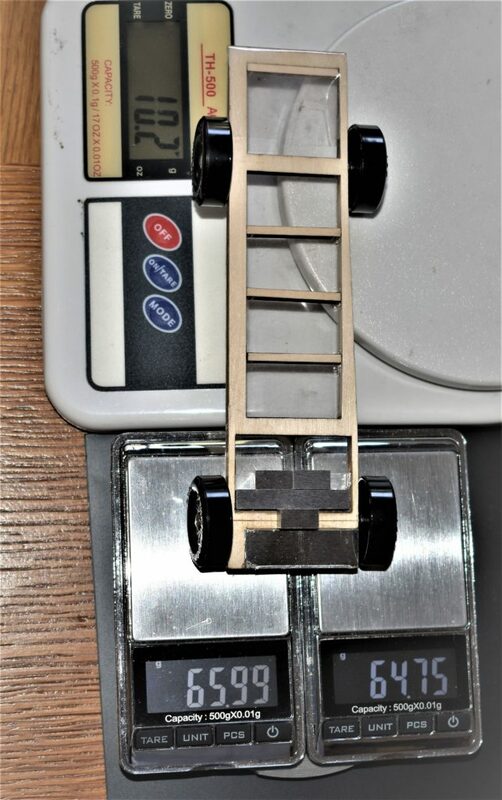 We have imbalance down to just over 1 gram, and the DFW weight is only 10.2 grams. 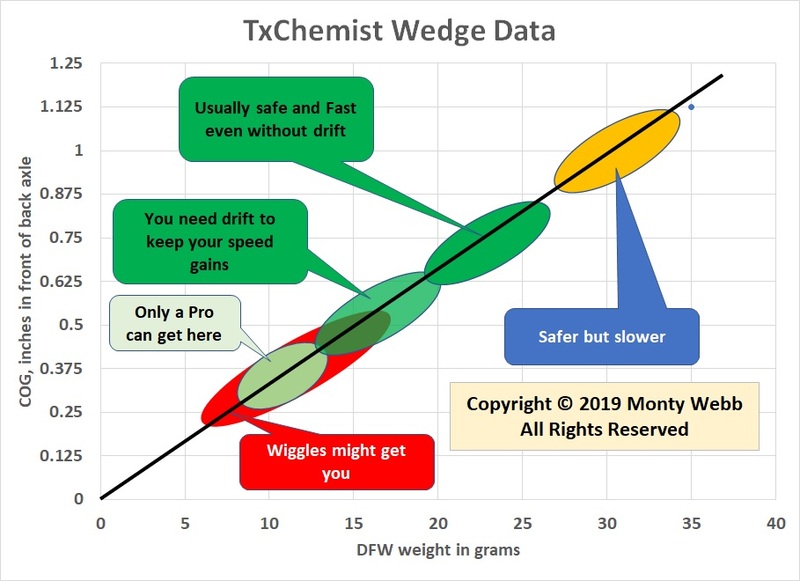 As you can see, we have plenty of room to find the right DFW weight to get maximum speed without degrading our good balance. At least with the combination of TxW weights and the TxW body, the serious racer can find some speed. So what is a safe DFW weight? That depends on your skill level. If you do not have a track- do not even try to push it too far, you will get the wiggles. Even if you get an extreme low DFW running great, in the actual race next to a car with lots of air disturbance, or a track not leveled, you can get the wiggles.